If you’re ready for sun, sand and sea, and Norwegian Jade is ready to take you there in the form of a Caribbean paradise. From October to March, follow the warm ocean breezes with a cruise from Miami to the tropical islands of the Caribbean or discovery of the wonder of the Panama canal. As the weather starts to heat up in Europe, cross the Atlantic for a season of cultural discovery. Departing from Venice and Rome, explore the ancient cities and iconic vistas of the Mediterranean over 10 or 11 nights, including Greece and Croatia. Or, embark in Southampton or Hamburg to immerse yourself in the UK or witness the awe inspiring landscapes of Norway. Norwegian Free at Sea Offer! Book an oceanview cabin or higher on select Norwegian Jade cruises and pick three Free at Sea inclusions* or book an inside cabin and pick one Free at Sea inclusion*. 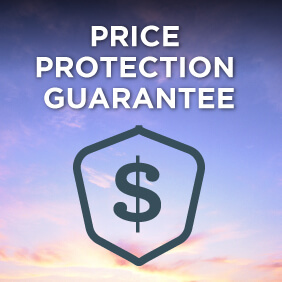 Plus pay just $10pp deposits on sailings departing after 10 Sept 2019*. 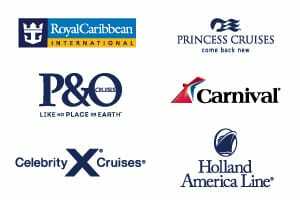 View all Norwegian Jade cruises, view a selection of Norwegian cruise deals, or view more options for Norwegian Cruise Line. Please note: All Norwegian Cruise Line departures within the next 30 days are not currently bookable online. 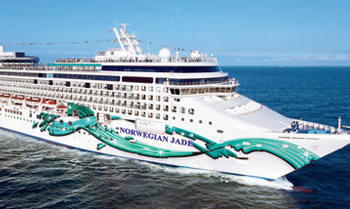 To make a booking, view all scheduled last minute Norwegian Jade sailings and then call us on 13 13 03 or request a callback during business hours and a member of our team will be to assist with pricing, availability and to make a booking. We apologise for any inconvenience. When it comes to the entertainment on Norwegian Jade, theres never a dull moment. Enjoy a magical evening with our magician and comedy show. Get mesmerized by the awe-inspiring acrobatics in Elements. Blazing Boots is a dazzling full scale production show that blends eye popping music video visuals, hot vocals, and innovative choreography into an evening that is part rock concert and all fun. Or don your best white attire and dance the night away during our White Hot Party. Its showtime. All the time. Imagine yourself bellying up to the the best country bar at sea. You are all invited to Blazing Boots – a first class tribute to pop country showcasing songs from the genre’s biggest superstars including Taylor Swift, Carrie Underwood, Luke Bryan, Florida Georgia Line, Shania Twain, Jason Aldean, Miranda Lambert and many others. This dazzling full scale production show blends eye popping music video visuals, hot vocals and innovative choreography into an evening that is part rock concert and all fun. From tear-your-heart-out country ballads to barn burning up tempo hits, this show is sure to get you fired up and your boots blazing! You be the judge! Four talented singers vie the audience’s votes with a rocking Emcee that’ll keep the show moving and you, the audience, groovin’. Enjoy hit tunes from Aretha Franklin, The Supremes, The Temptations, Gloria Gaynor & more. Its American Idol meets a Motown X-Factor. You’ll be dancing in the aisles as you experience the non-stop energy and fun for the whole family. Norwegian Jade‘s meeting room area features the Scalzi Bridge room, the Academia Bridge room, and the Rialto Bridge room. The Scalzi Bridge room and the Academia Bridge room can be used together. This is one room where playing games is not just encouraged, it’s expected. Play bridge or test your skill with board games, chess and more. The Teen Club is made to look like Surfer’s Paradise. This hip place for teens to hang out has plenty to do including video games, jukebox, and air hockey. You’ll find our well stocked library has an excellent selection of things to read with all the elegant trappings. The Sapphire Kid’s Pool features slides and a paddling pool. Perfect for mini-splashers. It’s show time! And we’ve got a really big show for you at the Stardust. Enjoy Broadway and Vegas-style shows in a Venetian Art Nouveau styled opera house with grand Venetian masks adorning the stage curtain. Freshly muddled just the way you like, enjoy a refreshing specialty Mojito with friends – day or night.